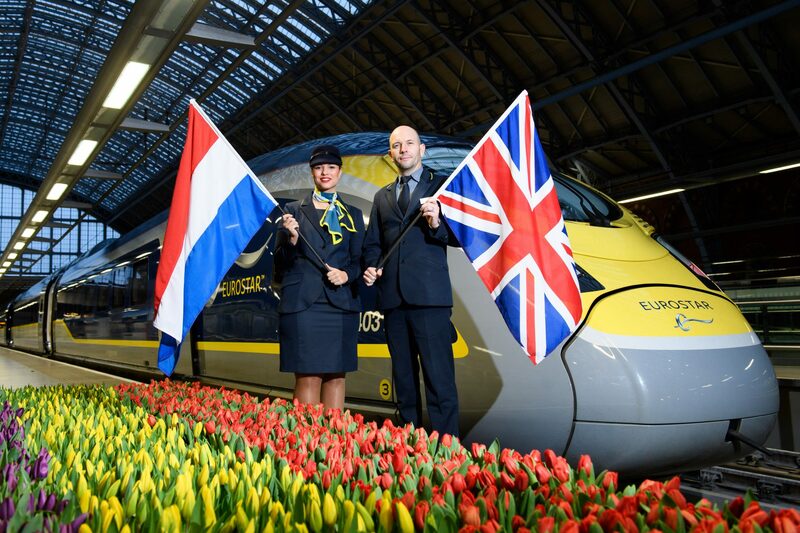 The very first direct Eurostar service between London and Amsterdam departed earlier this morning following months of testing. A special preview service left London St Pancras at 08.31 this morning bound for the Dutch capital. Commercial service is due to start on April 4 and tickets go on sale later today. Eurostar will initially operate two trains a day but discussions are already taking place to increase this to three trains in 2019. The journey time between London and Amsterdam is just over three hours and 40 minutes. As well as delivering a new direct rail connection to the Netherlands, the new service will cut journey times between London and Brussels by 17 minutes. Eurostar chief executive Nicolas Petrovic said: “Today’s inaugural service heralds an exciting new chapter in the expansion of high-speed rail, strengthening the trading and tourism links between the UK and mainland Europe.